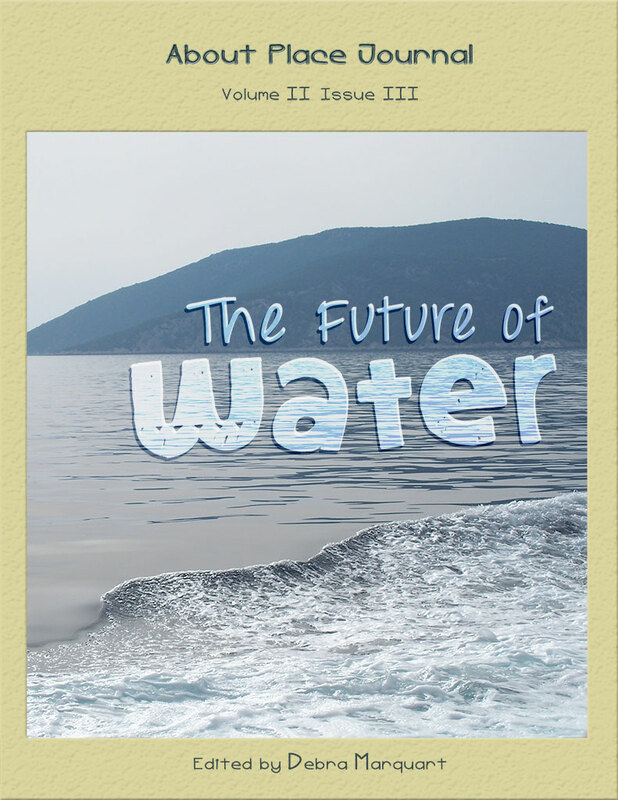 For this issue, we selected poems, stories, and essays that celebrate, document, honor, and mourn the important connections we have with water in its many forms–fresh or saltwater, frozen or liquid. According to Charles Fishman, the author of The Big Thirst: The Secret Life and Turbulent Future of Water, the water coming out of your kitchen tap is four billion years old and might well have been sipped by a Tyrannosaurus rex. As Charles Fishman and other scholars and scientists have argued, water runs our world in a host of awe-inspiring ways, yet we take it completely for granted. For this issue of “About Place,” we found work that articulated our complex relationship with water.